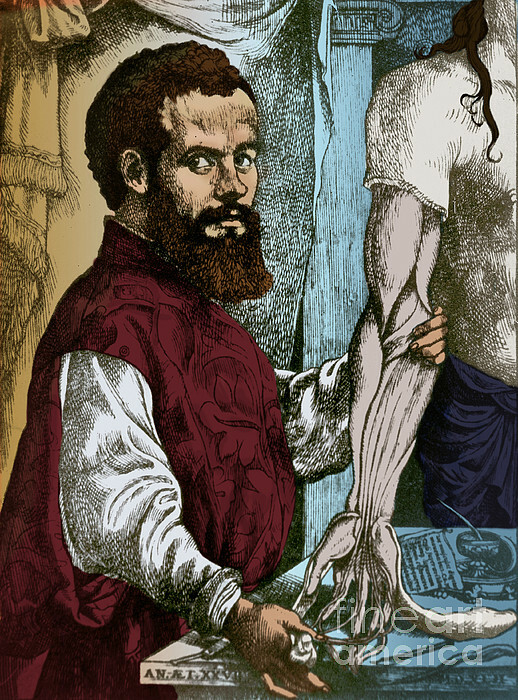 There are no comments for Andreas Vesalius, Flemish Anatomist. Click here to post the first comment. "The doctor discovers, one by one, the secrets of the human body." 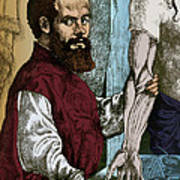 Andreas Vesalius (1514-1564), the Belgian anatomist who founded modern anatomy. 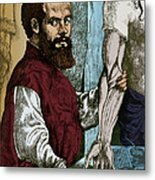 In Italy, Vesaluis revolutionized the study of anatomy, ending the teaching of Galen and practicing direct observation by dissection. His results were published in 1543 in the famous book De Humani Corporis Fabrica (On Structure of the Human Body). 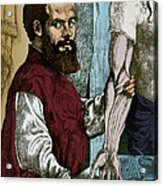 The first accurate work on human anatomy, it included many descriptions and fine woodcuts. After this early success, he became a court physician and all but gave up research.